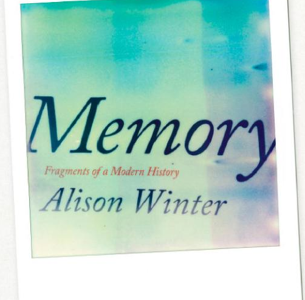 Memory: Fragments of a Modern History, by Alison Winter. Published 2012 by Chicago University Press. A superb account of the way in which attitudes to the reliability of memory developed during the 20th century under the influence of developments in academic psychology, legal pressures for reliable forensic diagnostic techniques, and most recently the “Memory Wars” of the 1980s and 1990s about the status of “recovered” memories of childhood sexual abuse. Concludes with an intriguing analogy between psychopharmacological methods for maniuplating memory, and the way in which the ability to feel pain, once considered more or less definitive of subjective psyhological identity, came to be considered much more contingent once the science of anesthesia made it possible to undergo painless surgical procedures.